Multi-Tech Resources, LLC is a sales firm dedicated to providing manufacturing solutions to companies operating in the electronics, medical, aerospace, automotive and rail industries. We represent world class manufacturers in metals, plastics, rubber, electronics, graphics and textiles. Our 25+ years of providing industrial solutions include injection molding, rubber extrusion, Metal forming, tooling, design and prototype. our expertise is focused on providing value and improving operational efficiency. Our diverse portfolio of product lines allows us to accommodate many applications within a company’s operation. We offer solutions that will improve the way a company does business as well as improving the bottom line. We pride ourselves on excellent customer service and always being able to assist a company in making the right purchasing decision. We designed and developed the original OEM vacuum control valves for use on Excellon, Dynamotion, ATI and other drill/rout machines within the printed circuit industry. 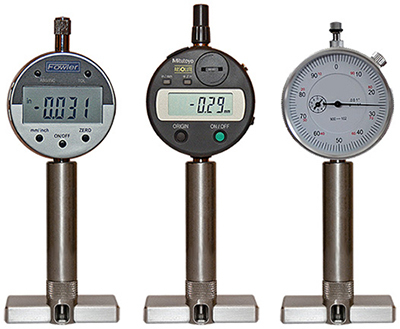 We also provide high quality digital and analog depth gauges for checking hole depth in printed circuit boards and other substrates.